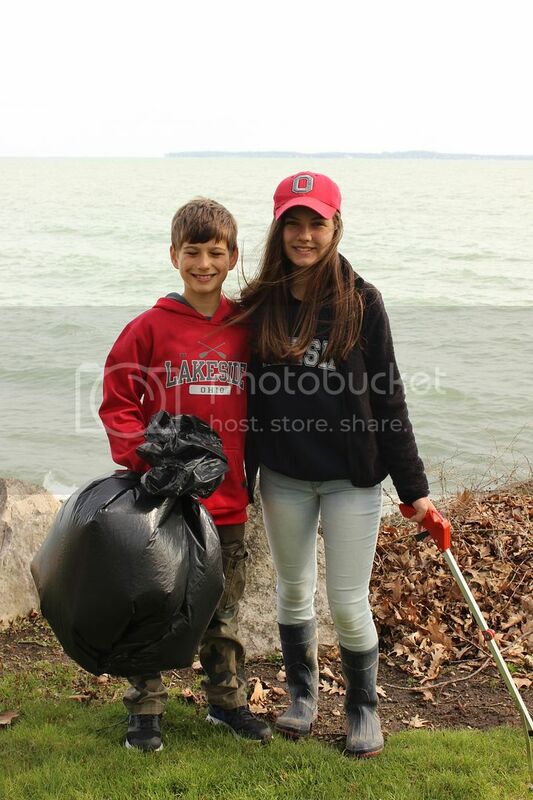 Volunteer your time to help beautify Lakeside at our annual Spring Cleanup Day. The event will take place from 8:45 a.m.-1 p.m. Saturday, April 29. Volunteers of all ages are welcome to participate. In past years, more than 75 dedicated Lakeside volunteers have worked together to help improve the overall appearance of the grounds and facilities. At this year's event, help Lakeside break a record for the most volunteers. Volunteers are needed in the following areas: landscaping, cleanup in the parks/waterfront and preparing various buildings. After 11 years, Dockside is closing its doors. Special thanks to Nancy and Todd Bundy and their family for their dedication to the Lakeside community. The DockDogs and DockRunner service will be greatly missed. We wish the Bundy family the very best! Just like many people who have spent time at Lakeside, Jen and Ben Linville know how special this place is. They cherish the traditions, honor the heritage and are excited to share this place with their young family. But unlike many people, the Linvilles are presented with the opportunity to contribute to the special traditions in a new and exciting way, and all of Lakeside gets to take part in it. Jen and Ben are the owners and operators of Lakeside's newest culinary addition, the Bluebird Café, which will take the place of Dockside at the Pavilion. Buy your Season Chautauqua and Auto Passes before Thursday, June 1 to receive a discounted price. The rate for a Teen Chautauqua Pass (ages 13-18) is $410. Don't forget, children age 12 and under and guests age 90 and older are always free at Lakeside. This summer, there are more benefits than ever to being a season pass holder. In addition to our regular list of activities and events, a Chautauqua Pass (Daily or Season) will grant Lakesiders admission to the new Grindley Aquatic & Wellness Campus after the grand opening in early July. 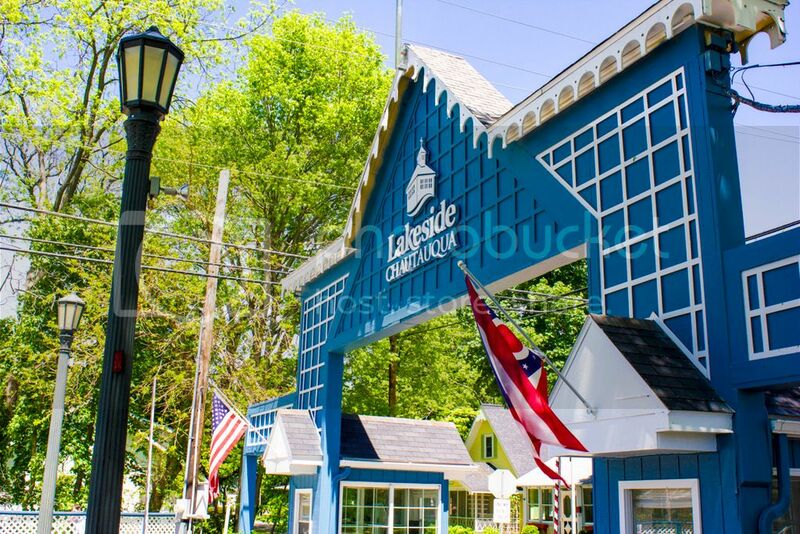 Lakeside is planning a series of "State of Lakeside" Address gatherings around Ohio - Lakeside, Cleveland and Canton - during April. At each gathering, Lakeside Chautauqua President/CEO Kevin Sibbring will meet with Lakesiders, give an overview of the past year, provide an update on the work at the Grindley Aquatic & Wellness Campus, discuss Master Planning and highlight the 2017 Chautauqua summer programs. 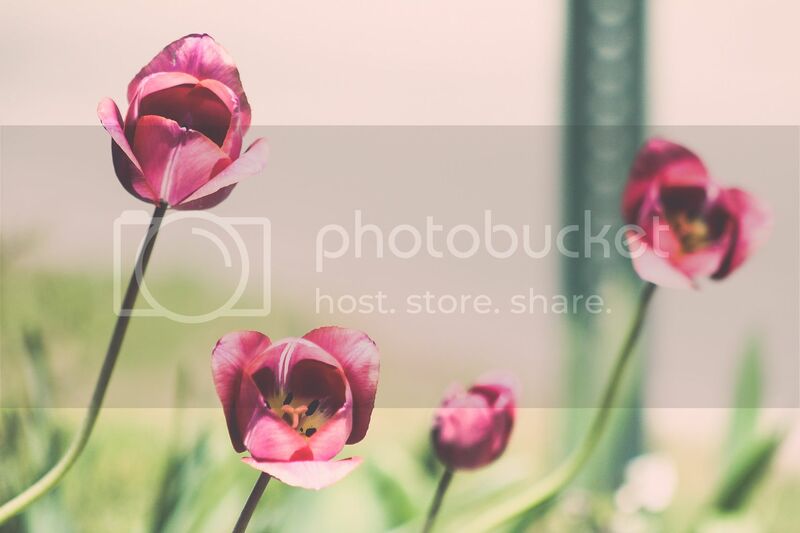 You and your family are invited to celebrate Mother's Day in beautiful Lakeside Chautauqua. The Mother's Day Brunch Buffet will be held from 10:30 a.m.-2 p.m. Sunday, May 14 in the Hotel Lakeside Dining Room. The buffet-style menu includes an omelet station with assorted meats, cheese and vegetables, waffles, bacon, sausage, scrambled eggs, blueberry and apple muffins, sausage gravy with biscuits, a meat carving station, smoked gouda au gratin potatoes, garden salad, fresh seasonal vegetables, fruits and cheeses, and assorted desserts. The cost is $22 per adult, $11 per child (ages 4-10) and children age 3 & under are free. There are no Chautauqua Pass admission or parking fees for this event. Reservations are recommended. To make a reservation, contact (419) 798-1700. Lakeside's development of a master plan is a critical component for the future. This plan will provide a framework for sustainability, development and preservation for the Lakeside community. Your input is vital throughout this process. There are four ways to get involved in the master planning process. First, share your Lakeside stories. Take a picture from anywhere in Lakeside or upload one from your first visit with a note about why Lakeside is special to you. Our interactive map will collect these memories and help our planning team understand the most important places to focus our efforts and resources during the master planning process. The rare Lakeside daisy, (Tetraneuris herbacea) is one of Ohio's most spectacular wildflowers. This long-lived perennial grows where few others can, on nearly barren limestone bedrock in full sunlight. 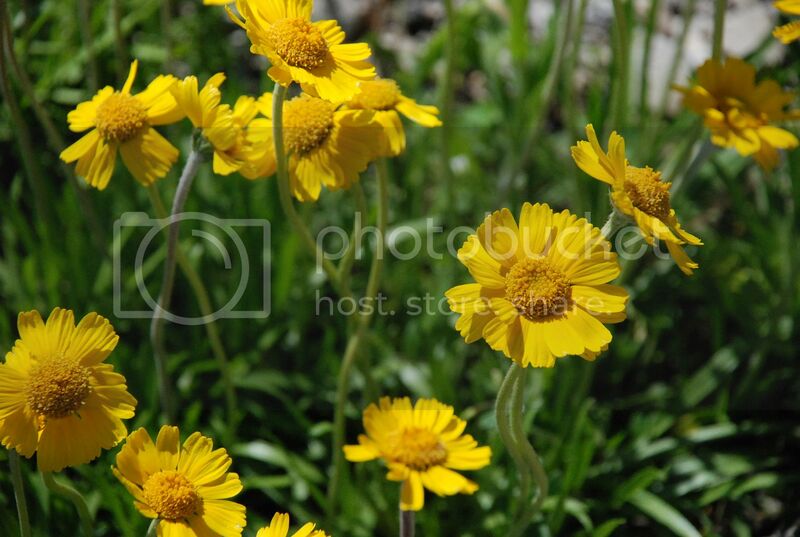 In early May, the bright, yellow flowers adorn the otherwise bleak, sunbaked landscape of the Marblehead Quarry, the largest population of the Lakeside daisy in the U.S. It is a federally threatened species and has been listed as endangered in Ohio since 1980. Lakeside Chautauqua also has its own patch of Lakeside daisies. In 2000, Sid Foster, in cooperation with the Division of Natural Areas & Preserves, established a small population of daisies on Lakeside's lakefront near Perry Park. The garden is in memory of his grandmother, Daisy Farley Foster, who was a Lakeside resident from 1913-1959. Dottie McDowell, Susan Mack and friends maintain the garden for all to enjoy. For more information about the Lakeside daisy, read The Lakeside Daisy, an Ohio Treasure and Jennifer Windus' Passion Runs Wild for the Lakeside Daisy on our blog, The Front Porch . 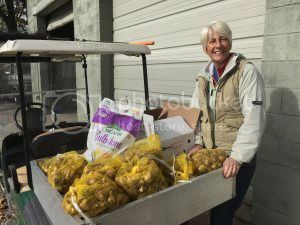 Long before these April showers began, Lakeside's Master Gardener Loretta Wilken has been working hard to make sure that Lakeside can look its best long after the May flowers make their first appearance. Last fall, Wilken and the Grounds Crew planted nearly 1,500 daffodil bulbs, along with hundreds of giant alliums and petite grape hyacinths. Some of these will stay to be enjoyed all summer long, while the spring bulbs will be dug up and stored to replant in the fall. "Some surprise gardens will be scattered throughout the community," she said. "Take a stroll and discover some colorful treasures, starting with newly accented beds at Hoover Auditorium." With the weather warming up, the Grounds Crew is preparing the final steps. Once the gardens thaw, more than 4,000 lbs. of soil conditioner will be spaded into the gardens. The greenhouse will be cleaned, and pots will be painted and prepped for more than 130 container gardens throughout the grounds. If you'd like to get involved with preparing these, volunteer for Spring Cleanup Day on Saturday, April 29. Lakeside invites friends and neighbors to gather for a Monthly Community Potluck at 12 p.m. Thursday, April 20 in Wesley Lodge. The main dish is provided by Otterbein North Shore, and guests are invited to bring a side dish or dessert to share. The Lakeside Chautauqua Education Department is pleased to announce that Dr. Edward Lengel, Chief Historian at the White House Historical Association, has been added as a speaker for the World War I theme week. His lectures will be held on August 16 and 17. For more information about Lengel, visit the White House History website. Orchestra Hall will open with a special weekend screening of "Fences"
(PG-13, 139 mins) at 7:30 p.m. Friday, April 28 and Saturday, April 29. Visit our Movies page to find out what other movies will be featured this month. A variety of summer employment opportunities are still available in event planning, hospitality, maintenance/service, programming and recreation, especially lifeguards and housekeepers. Our website features a page specifically for Homeowner & Campground Updates. We invite you to view this page frequently for updates. Lakeside will provide free Spring Leaf Pick Up from April 3-21. Lakeside's curbside recycling service is offered on Friday mornings from May 5-September 29. Recyclables can also be taken to the green receptacles across from the South Gate Parking Lot year round. Curbside trash service will be collected on Tuesday and Friday mornings from May 30-September 8. This service will resume its once-a-week schedule every Tuesday starting September 12. Trash may also be taken to the large receptacle across from the South Gate Parking Lot year round. Historic Preservation & Design Review Board (HP&RB) meetings are held at 9 a.m. Saturdays from March-October at the Train Station, unless otherwise noted. Review the 2017 meeting dates. 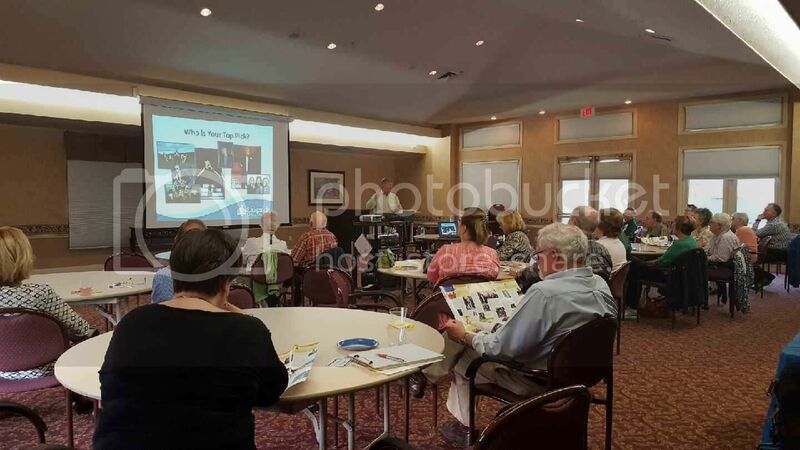 Lakeside Property Owners Association (LPOA) meetings are held at 10 a.m. on select Saturdays in May, July, August and October, unless otherwise noted. Review the 2017 meeting dates . Danbury Township and Ottawa County will host several events for residents, including Leaf Drop-Off and Brush Drop-Off. Each year, at the Memorial Day Weekend Hoover Worship Service, we formally remember loved ones who have died throughout the year. If a loved one has passed away during the 2016-2017 year, download a Memorial Remembrance Form. Complete the form with information about your loved one to be included in the worship service bulletin. Forms are due by Friday, April 21. Lakeside will host a Prayer Breakfast at 7:30 a.m. Friday, July 28. The keynote speaker will be Jerry Lucas, an accomplished athlete and memory magician. Register online today. Women on Water (WOW) will offer beginner and intermediate sailing classes for women over 50 years of age. Each session includes five days of instruction and is certified through U.S. Sailing. Instructor Celeste Cook Williams is a long-time veteran and teacher of the Lakeside sailing program. Beginner instruction will take place June 19-23, and intermediate instruction will be held July 17-21. All classes are from 11 a.m.-1 p.m. each day, followed by on-the-water instruction from 2-3:30 p.m.